SAN JOSE, Calif. (KGO) -- There are shades of gray when it comes to enforcing the law. How many times have you gotten away with jaywalking? Law enforcement officers and prosecutors are allowed to exercise discretion and judgment in when to cite or prosecute someone. Sam Liccardo has been a federal and a county prosecutor. Now, as Mayor of the Bay Area's largest city, he is the leader of San Jose's one million residents. Eight percent or 80,000 of them are thought to be undocumented. Logic would suggest that Liccardo would take a hard line on deporting undocumented persons. However, that is not the case. "What's really most important to me both from my prosecutorial experience as well as an elected official is recognizing the trust that's so critically important to build between local police and the community," says Liccardo. We took a lunch time walk near City Hall on Wednesday, away from the trapping of his 18th floor office. We asked to reflect on what experiences he has had that make trust so vital to public safety. He brought up how he specialized in sexual assault cases, often cases in which minors were the victims. Undocumented residents would be reluctant to testify. Liccardo built up trust by speaking to families in Spanish and urging their cooperation. "Without that trust that you build up," Liccardo said, "these are people who had never come forward and as a result, we'd have a child molester out on the street otherwise not convicted for the 30 years that we got him for." The Mayor also recalled how a neighborhood east of downtown having serious gang problems. However, many residents, including those who are undocumented, developed trust with police to help solve their crime problem. 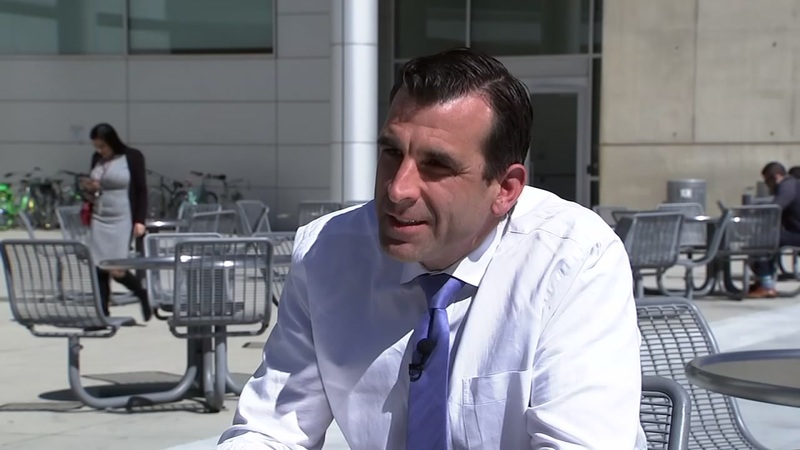 "It was really the peak location for gang activity in the city," Liccardo said. "It's now become much more quiet, much safer because we had residents who are undocumented communicating every week with the local police." Liccardo later joined some of that neighborhood's leaders for a weekend trash cleanup, and after having a group photo taken, one of them told the Mayor that of the 35 people gathered, only two were in the country legally. "If you're just shutting 80,000 people off from communicating with local law enforcement because they're afraid of being deported, everyone's less safe," said the Mayor. David Louie will have more on this story on ABC7 News at 4:00 and 6:00.